I thought I’d share my favorite way to prepare asparagus. Quick, easy and delicious! Rinse with water and pat dry. Snap the ends off of each asparagus spear by gently bending each spear. The spear will snap naturally “where it is supposed to” break off. Place spears in bowl and drizzle extra virgin olive oil over the spears. Let sit for about 30 minutes, while you prepare the other parts of your meal. 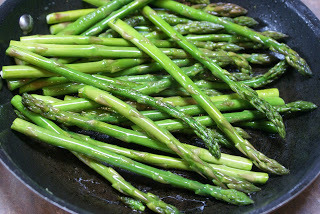 Pour spears and olive oil into the skillet where you plan to saute the asparagus. Season with salt and pepper if you wish. 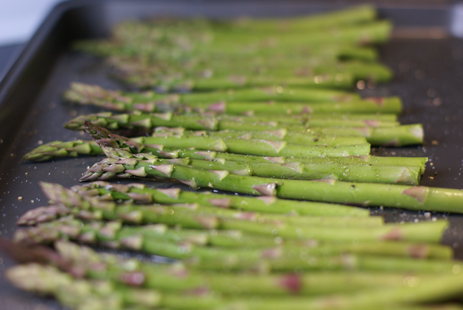 Lay asparagus spears in a single layer on baking sheet. Drizzle olive oil over the top. Sprinkle with salt and pepper. Roast at 400 F for 8 minutes. Turn off the oven and let sit in hot oven for another 5 minutes. 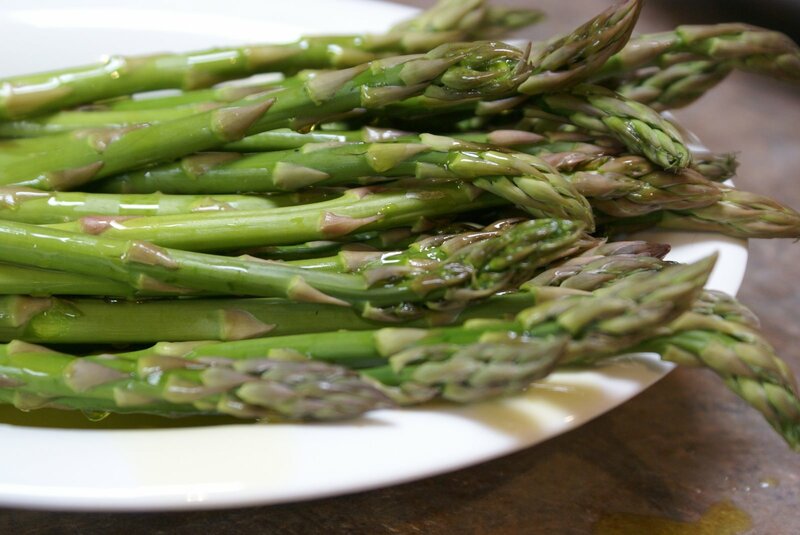 What is your favorite way to prepare asparagus??? We love to grill it. since we’re not grilling tonight, I’ll be trying your suggestion. thanks! I love to roast my asparagus. I trim it toss with EVOO and spread onto a jellyroll pan. I then separate a couple of heads of garlic (leave the skin on) and toss with olive oil and place on jellyroll pan also. 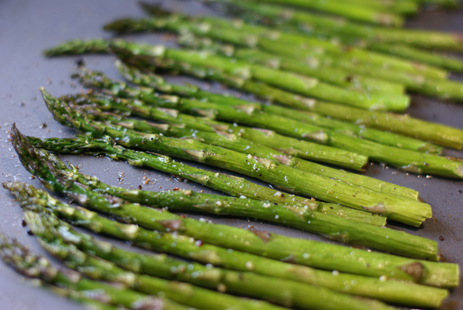 Sprinkle asparagus and garlic with kosher salt and bake at 350 for approx 20 min. Turn over half way through baking. If you like you can toss grape tomatoes with asparagus and olive oil for an additional flavor. I serve this to guest often.